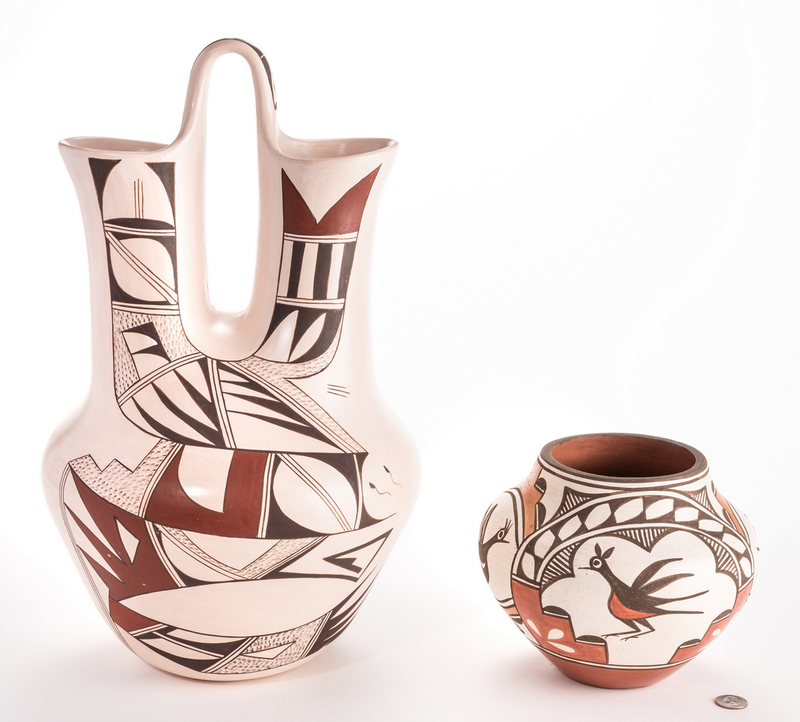 Two (2) Native American Pottery Items, Navasie & Medina. 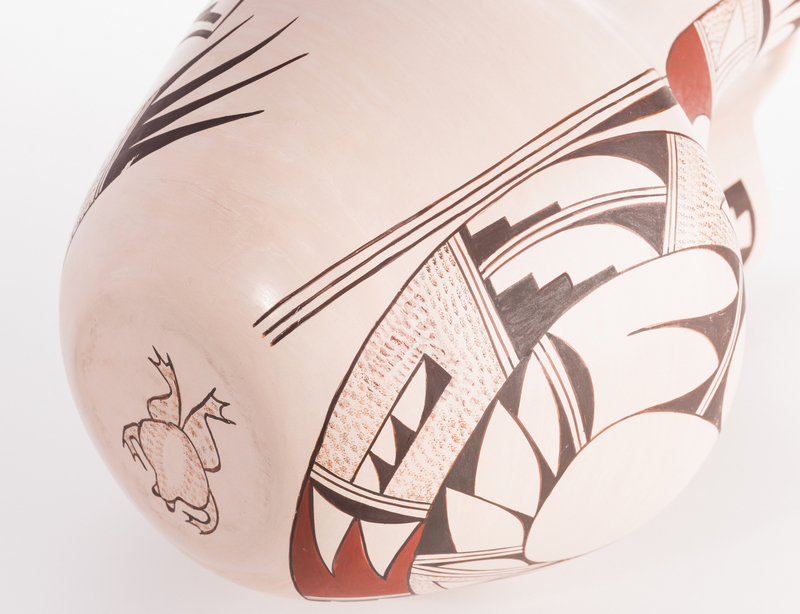 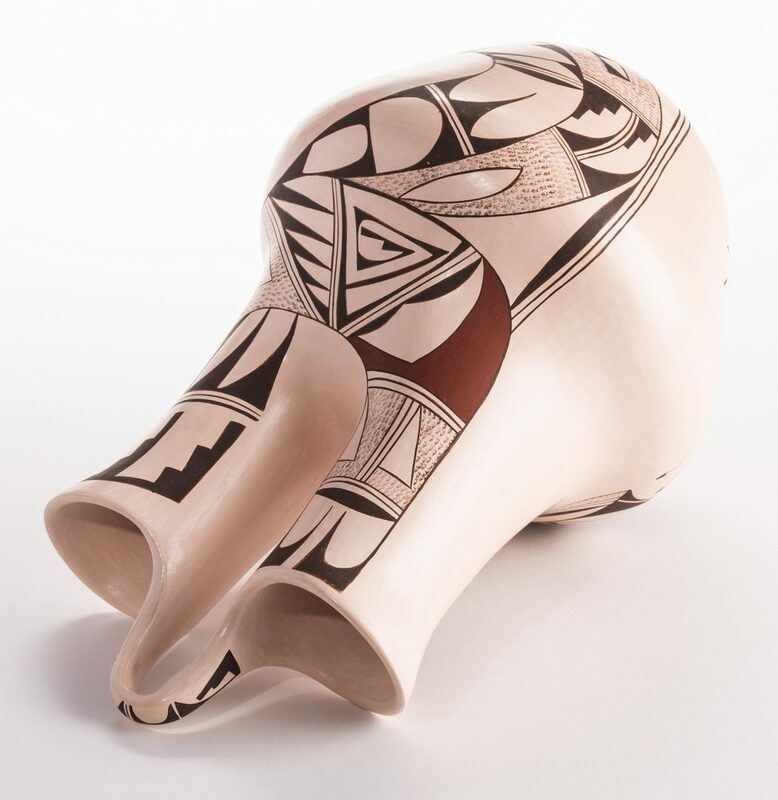 1st item: Joy Navasie (1919-2012) also known as Frog Woman, Hopi wedding vase with buff colored ground and polychrome geometric and tadpole decoration. 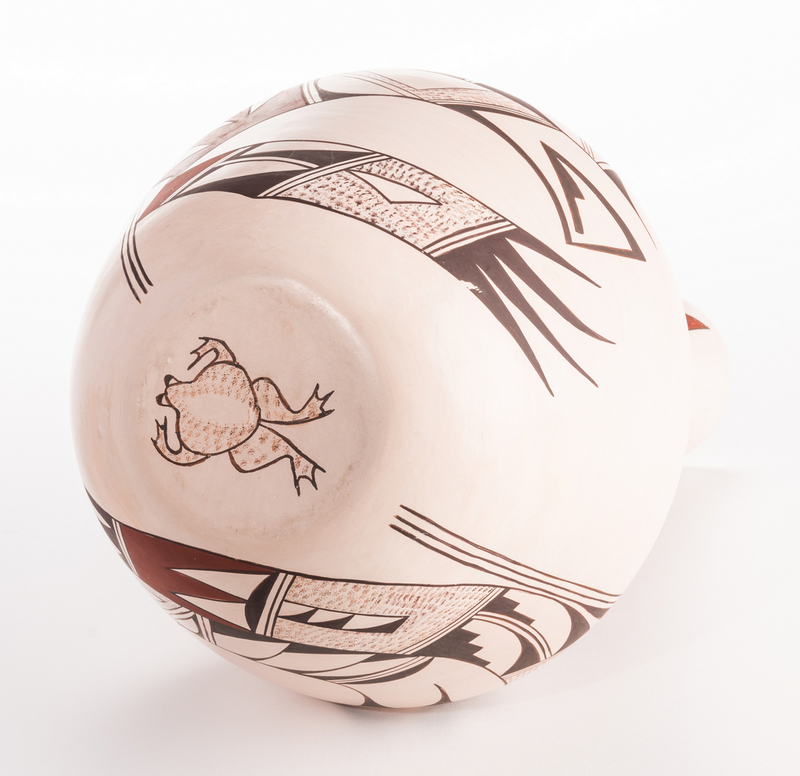 Signed with artist's trademark frog pictograph on the base. 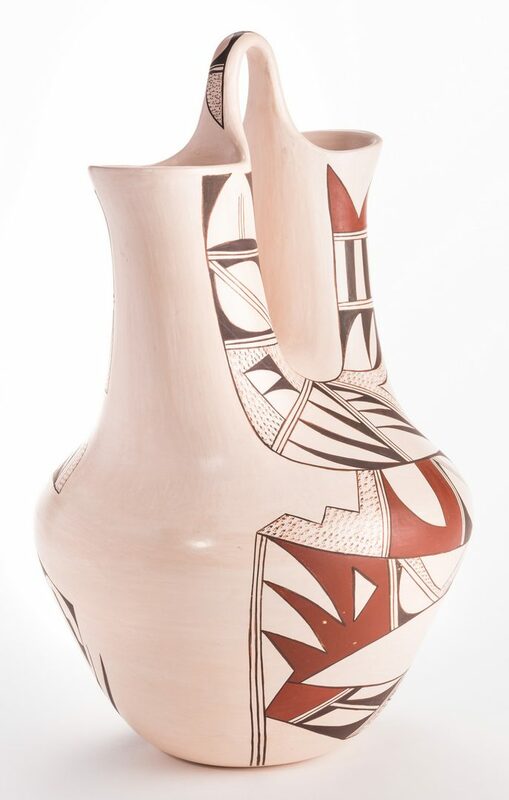 19" H x approx. 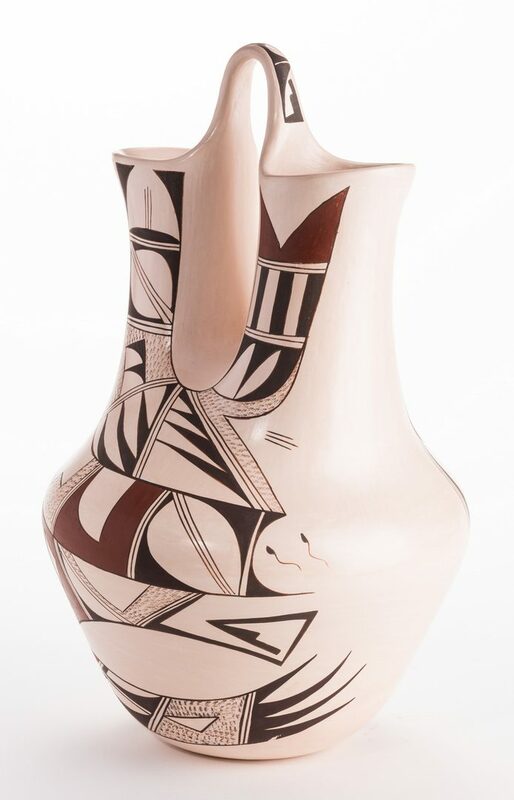 11" dia. 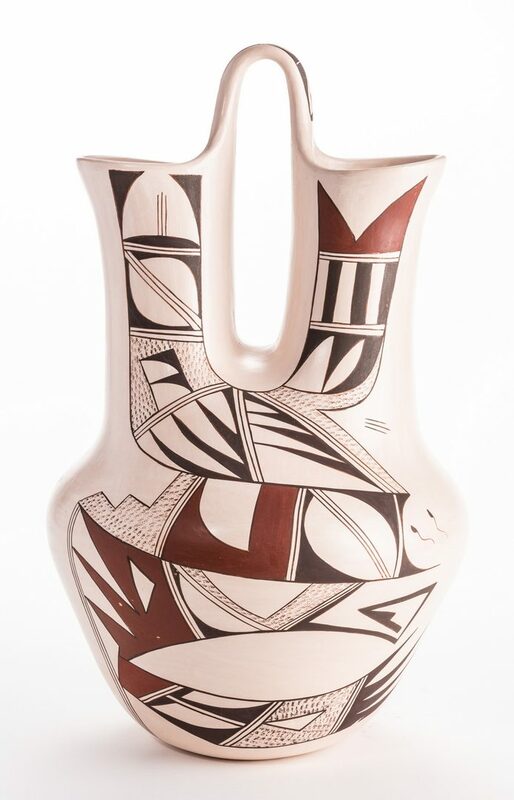 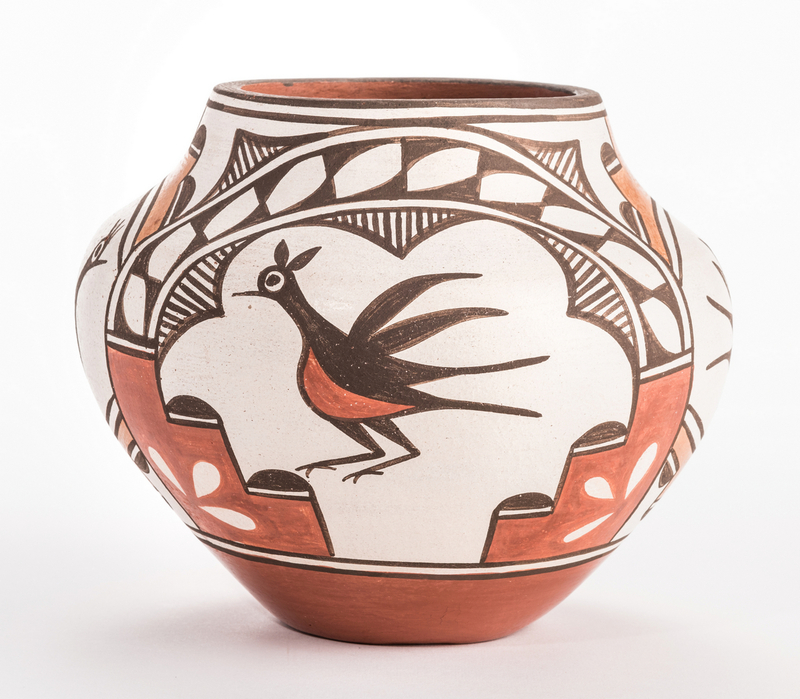 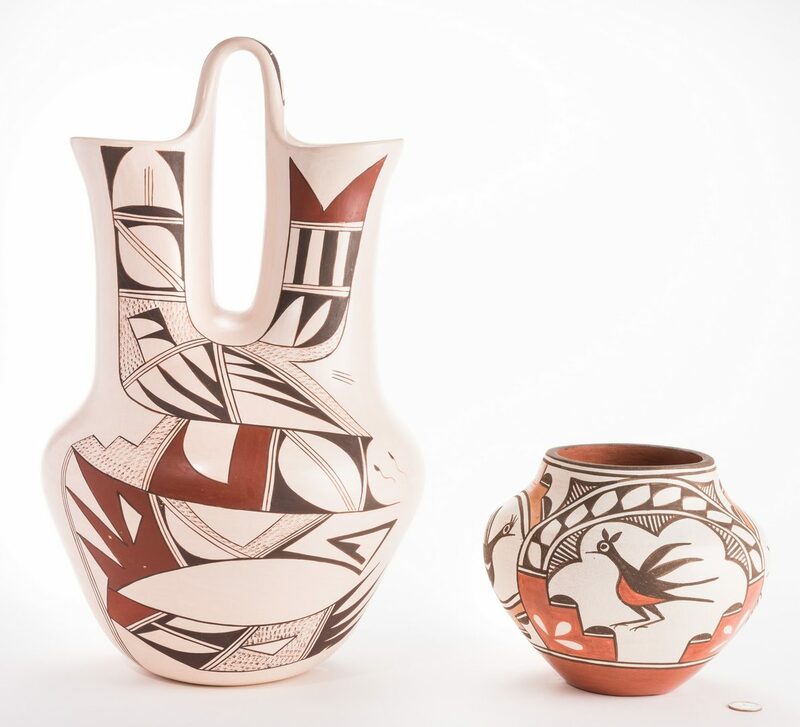 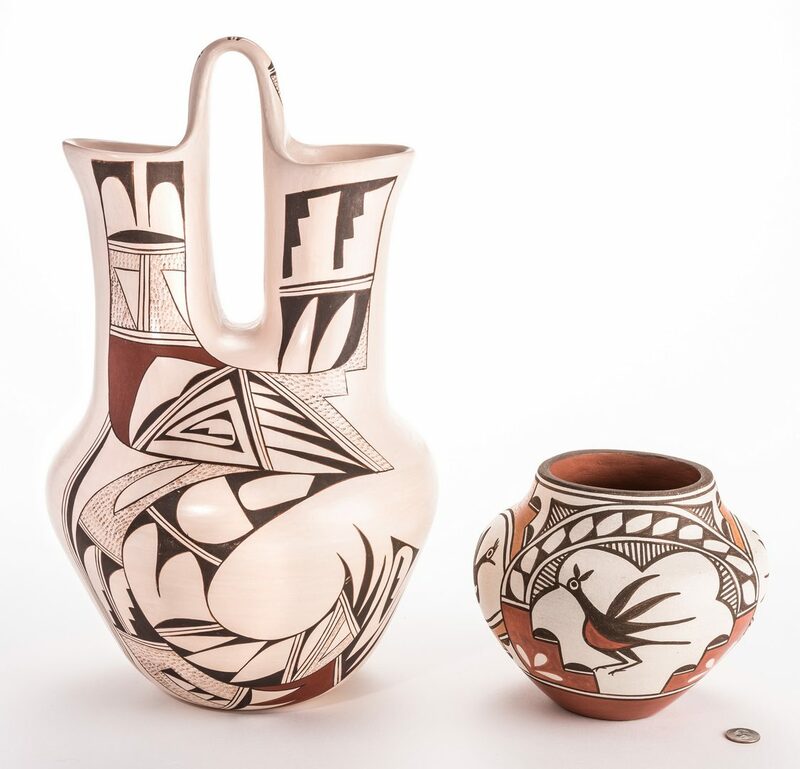 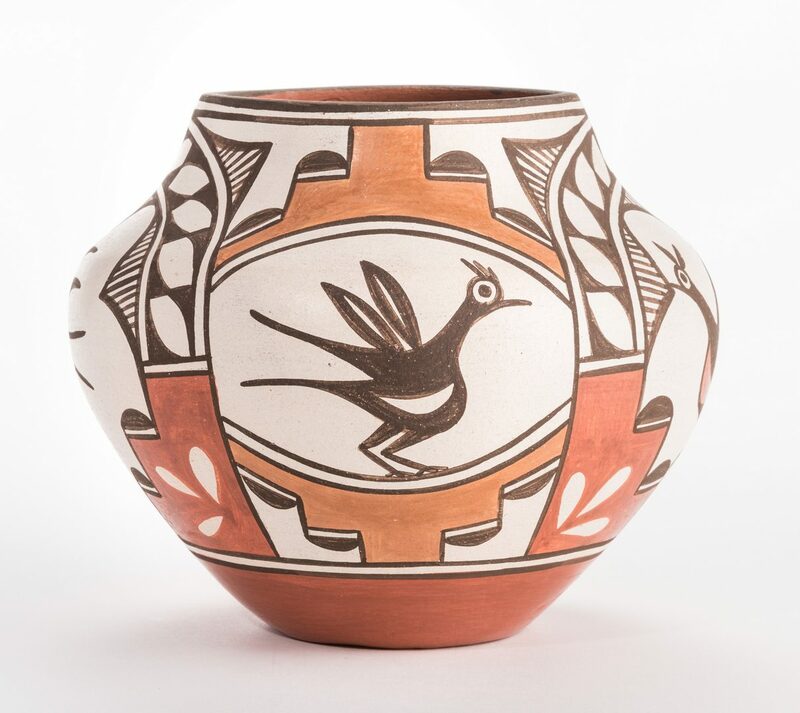 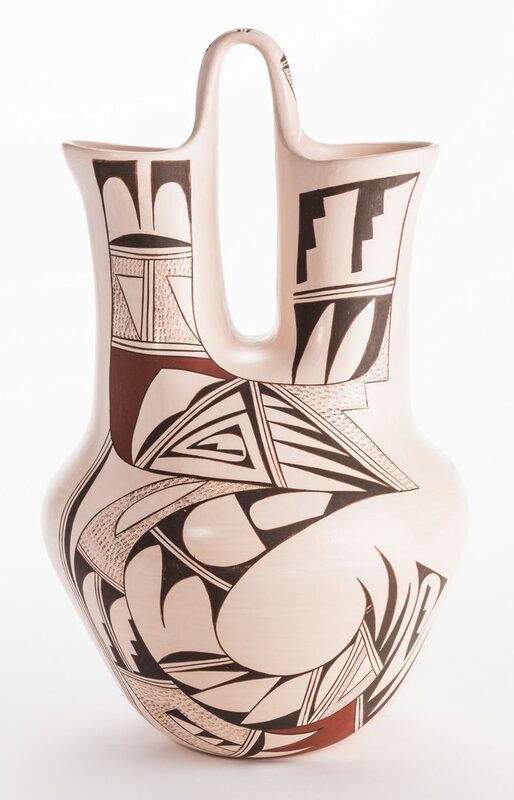 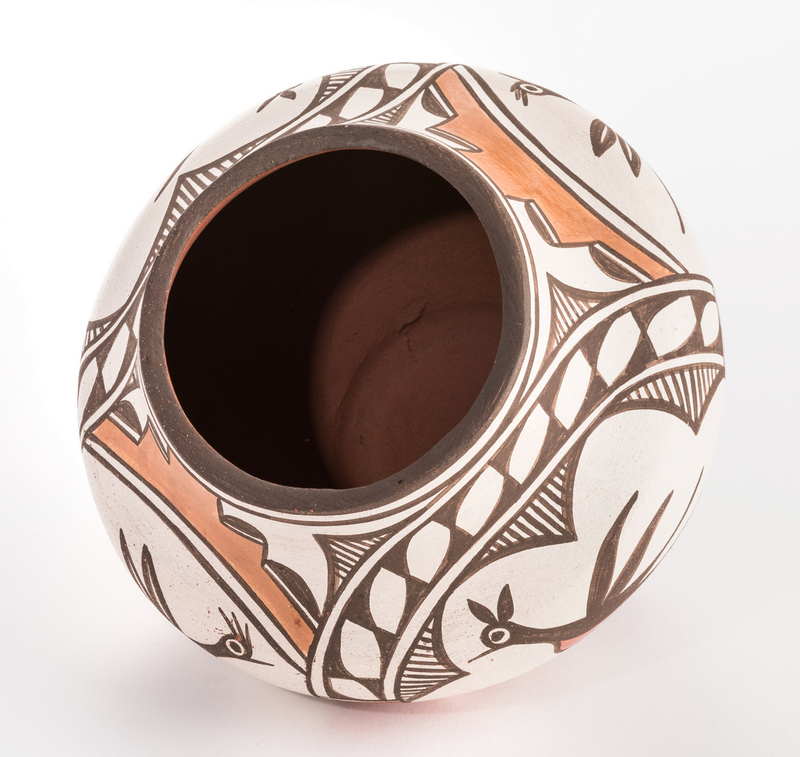 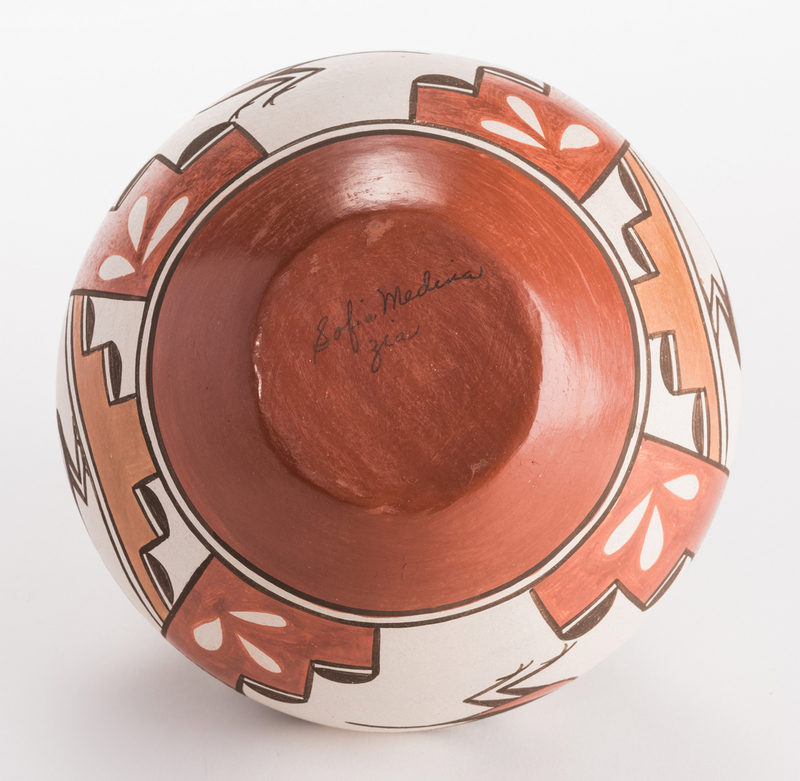 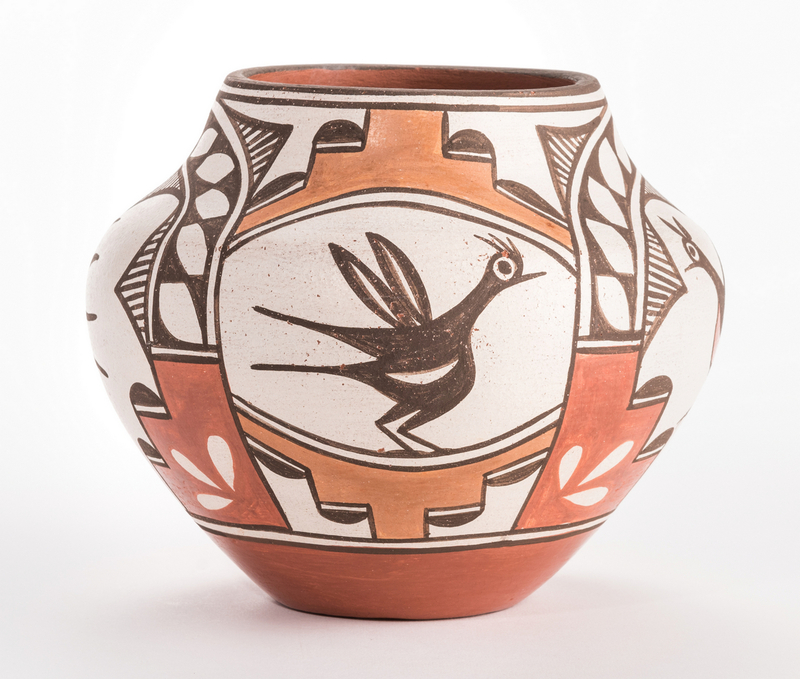 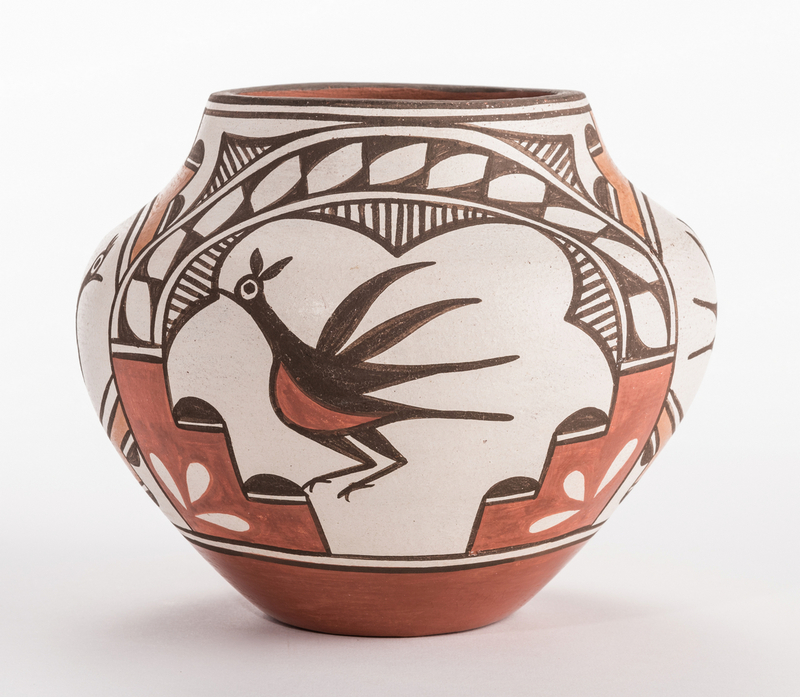 2nd item: Sofia Medina (1932-2010) Zia Pueblo pottery olla with polychrome bird and geometric decoration. 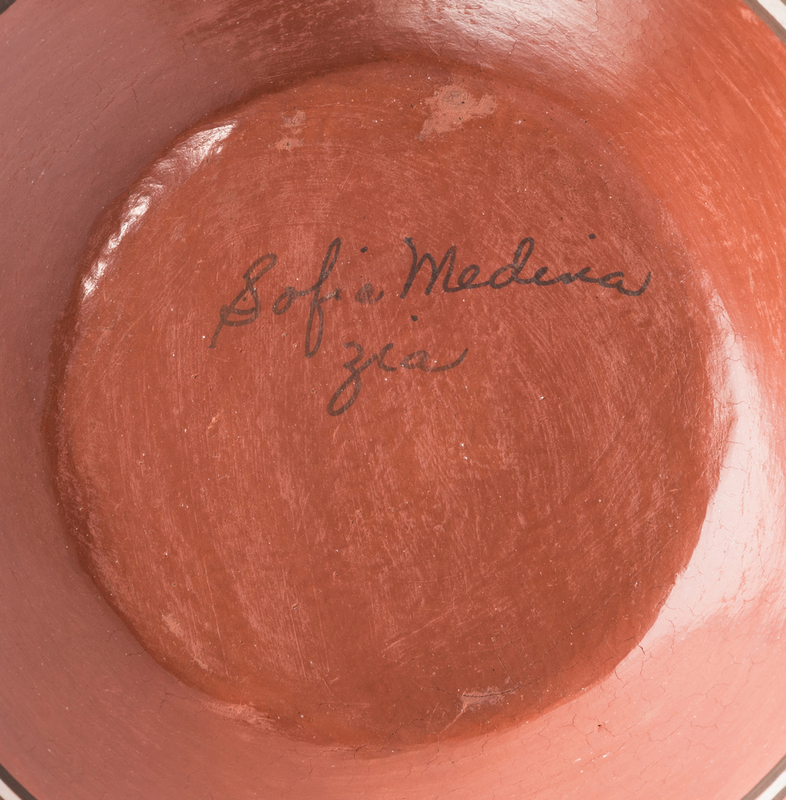 Signed Sofia Medina, Zia on the base. 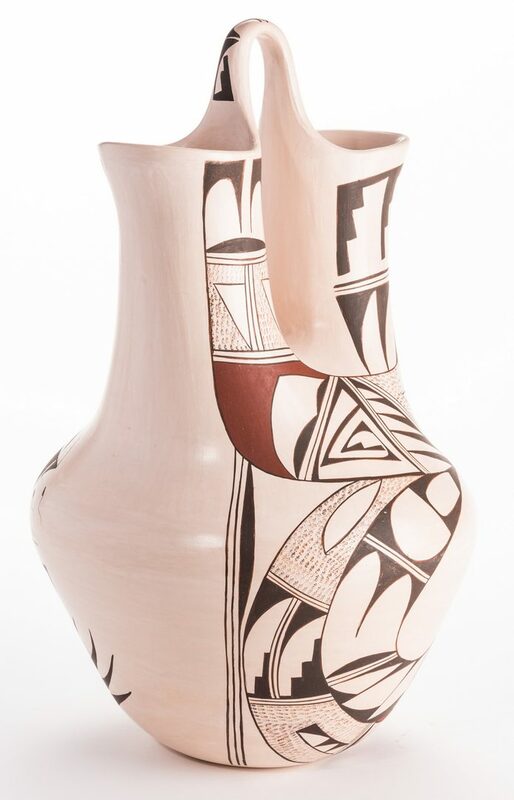 7" H x approx. 9" dia. 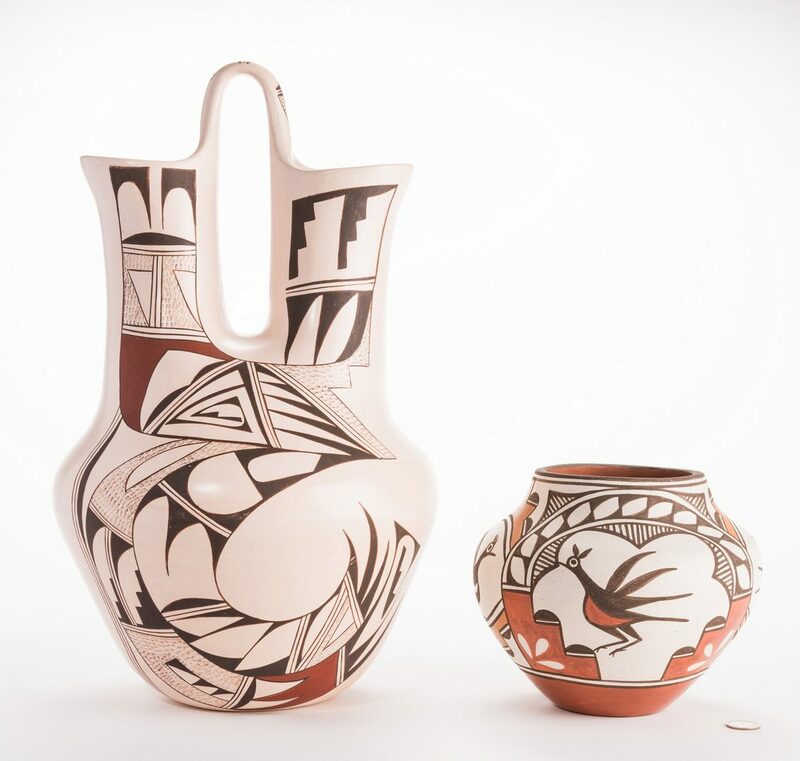 Both items 20th century. 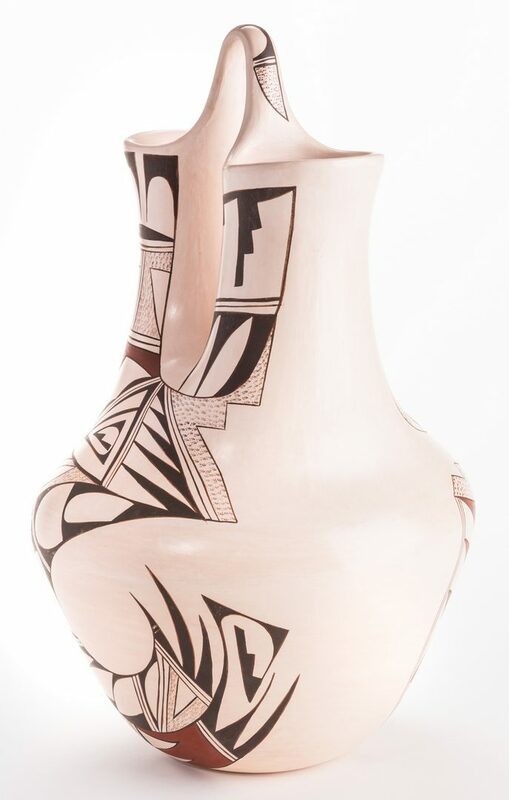 CONDITION: 1st item: Very minor scattered wear/paint flakes to the body. 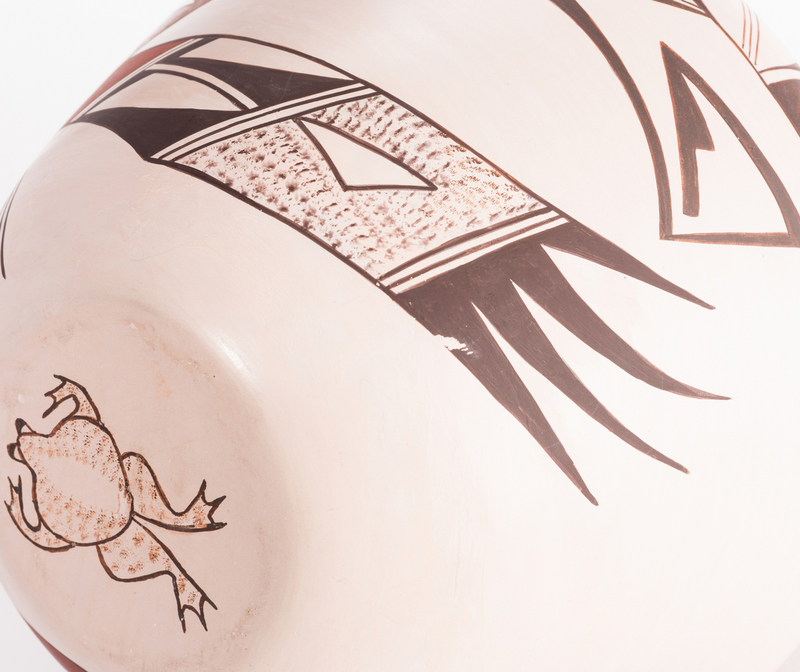 2nd item: Very minor scattered paint flakes.